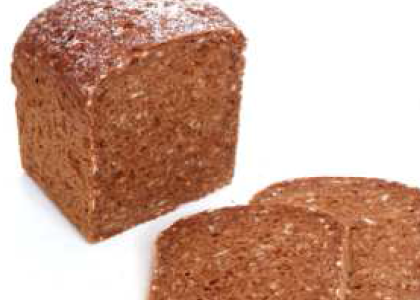 puffed rye kernels, rye grits, oat flakes, dehydrogenated rye sour dough, extract from barley malt, ionized salt, fibre (apple fibre), barley malt flour, sugar, thickener (guar gum E412), vegetable oil, flour enhancer (ascorbic acid E300). • Baking: Feed into oven at 250° C with steam decrease to 200° C after 5 min. Time: 50 - 60 mi n.